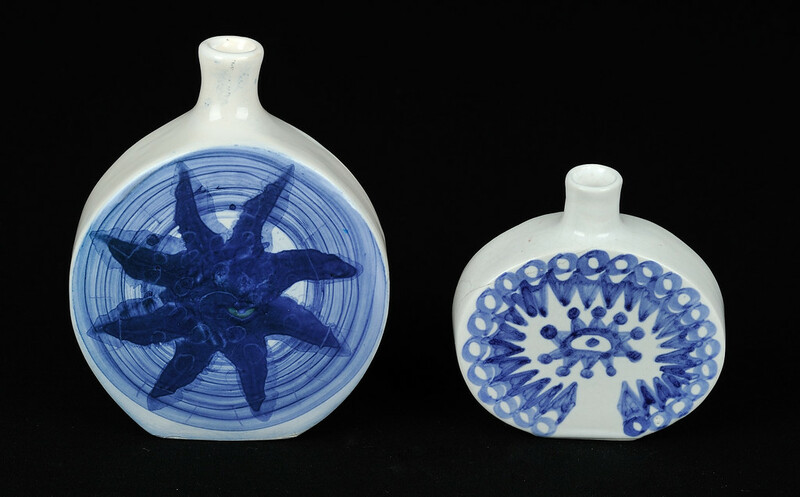 Here are pair of small smooth glazed perfume flasks from my collection. The flask on the left is about 4.125 inches (about 105 mm) tall to the top of the spout. It is about 3.19 inches (about 81 mm) wide at the middle, and about 1.125 inches (about 29 mm) thick. It was decorated by Roland Bence. 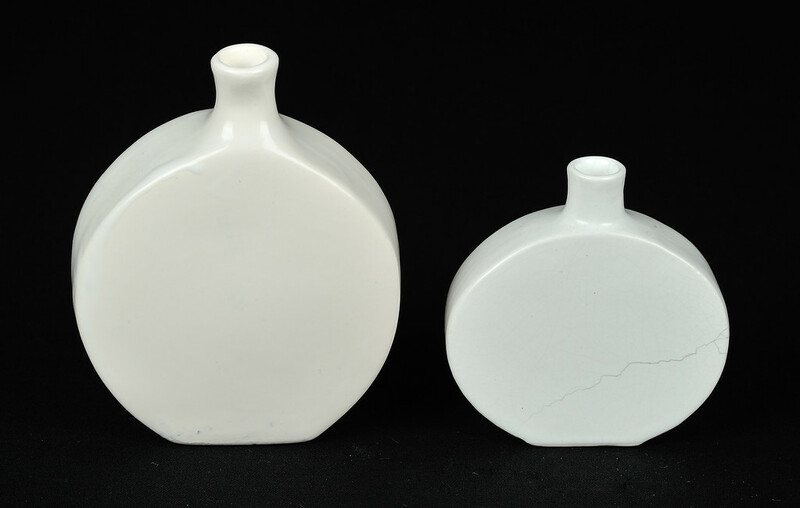 The flask on the right is about 2.8 inches (about 71 mm) tall to the top of the spout. It is about 2.75 inches (about 70 mm) wide at the middle, and about 0.875 inches (about 22 mm) thick. The smaller flask has some damage on the back.